Hi all. 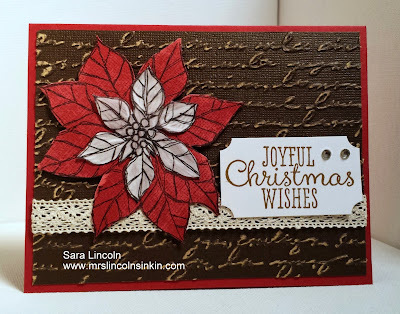 Super, super quick post today of a card that I made using the Joyful Christmas stamp set. I have been having computer issues the last few days... I tell you what... I have the worst luck ever with computers... well technology anything really. This time, my wireless router took a dump... so after buying a new one... having an issue with hooking it up... I am finally up and running again. I tell you what, even though I am not that old, I really like (miss) the days of just a piece of paper and a No.2 pencil. But sadly, if I didn't have my smart phone, my wireless connection and laptop I would be lost lol. 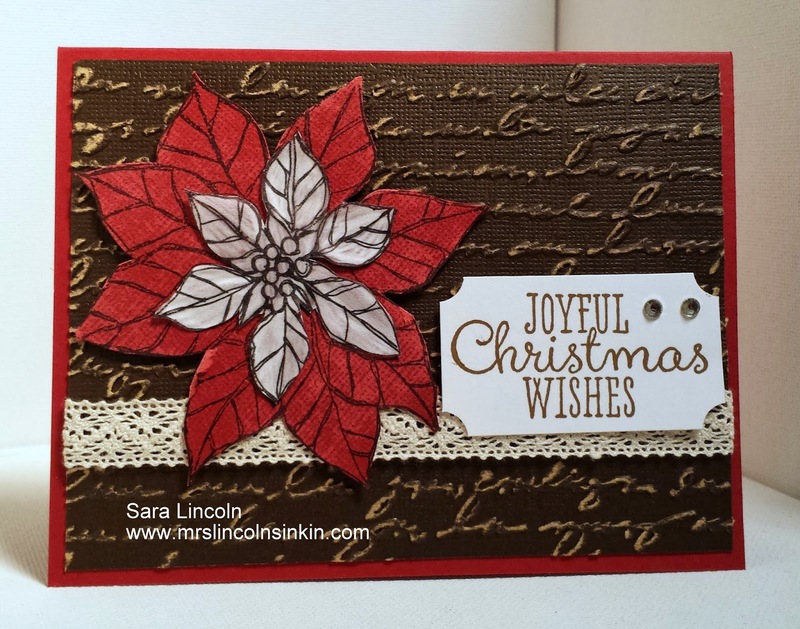 I decided on this card to do a little layering on my flower using the White Vellum card stock as my top layer. I think it gives it a nice little "pop".